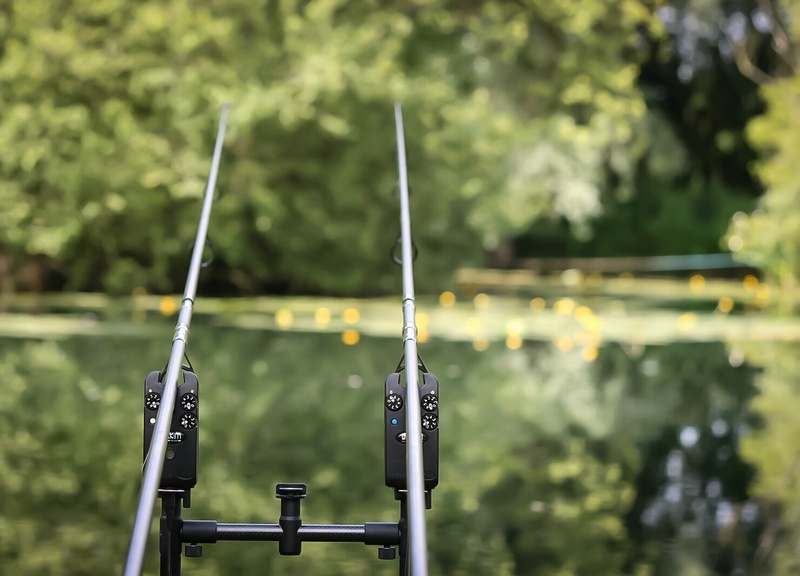 For the last few weeks I have been visiting “Squirrel” not fishing, just getting to know the lakes there, spending time looking for fish, holding areas, clear spots, anything which I could use to maximise my success rate for when I do wet a line. 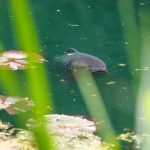 I started to introduce bait on three of the lakes over the last couple of weeks, one is more of a long term plan, being 8 acres and 30 residents my aim is to take my time and fish it when really primed, but the other two I couldn’t resists getting the rods out there, and my time came on Tuesday just gone. 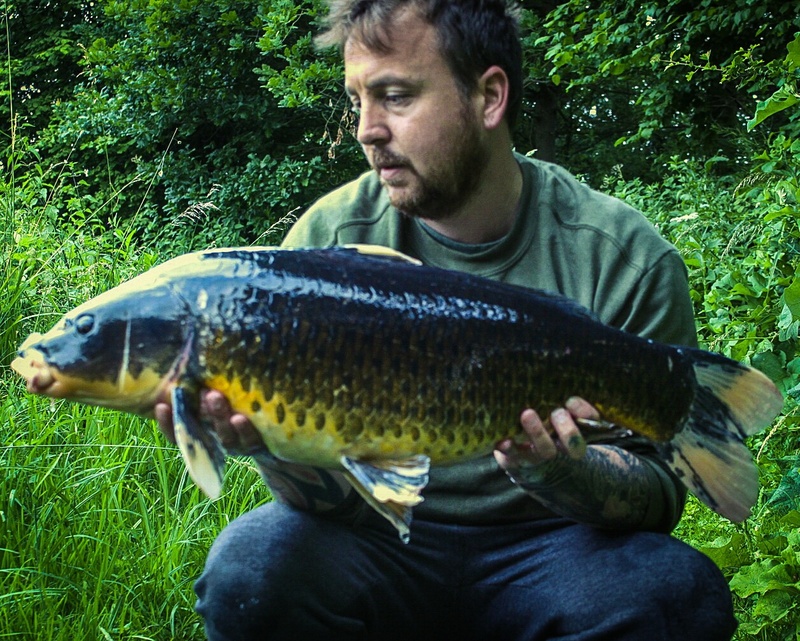 With limited time available for fishing recently I arranged to have a few hours off for a short day session, and set my alarm for 3.30am so I could get down there nice and early. My first duty when arriving at the lakes was to have a walk round find some fish and feed them, taking with me my particle mix made for me by Deep Blue Particles, it being their natural mix with a couple of other ingredients added by them for me, and a scattering of corn thrown in for good measure. 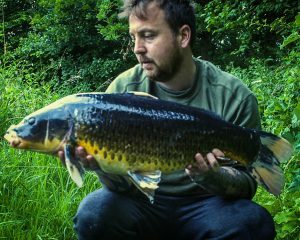 I also took my ever faithful Natural One boilies from North East baits, which I find are a real advantage when fishing pressured venues, they are made from naturals as the name suggest, which you can probably see I am a big fan of. Arriving at the first lake it I found some small signs of fish in a couple of areas, I was looking for marginal areas to fish, what with the lakes being a club water I find near margins can be the best areas to fish for the style I was planning today, my theory on this is, the lakes see more pleasure anglers than “carpers” and they tend to throw in what they don’t use at the end of the day, be it maggots, corn, hemp etc. which incidentally was in my particle mix, all thrown in at their feet, the carp then have a feast when they leave and thus see the margins as a larder, it was this theory I was hoping to capitalise on. 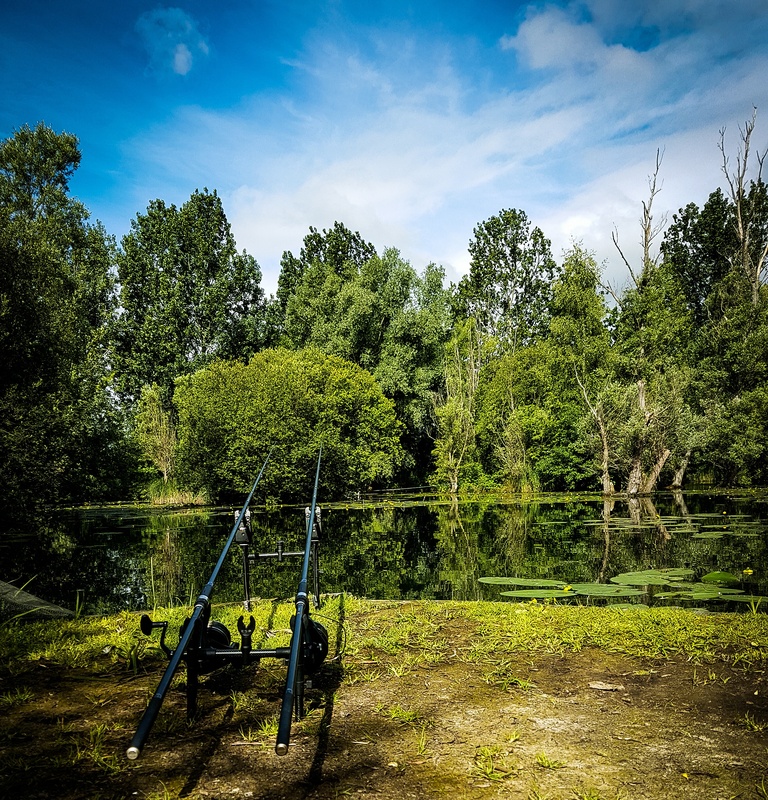 Getting back to what I was doing, I repeated this on lake two also, my plan was to be ultra-mobile giving each area an hour or two then moving on, much like I do when I go Chub and Barbel fishing. First location that was baited didn’t materialise a bite, so on to the next one, this swim was stunning, real picturesque and just being there with the rods out was my heaven, the solitude and calmness emanated from the surroundings and was feeling “right” after 30 mins or so the left rod which was lowered underneath a bush on my margin started to receive a few twitches on the line, could be Roach, Rudd, bream? Hell what I put out certainly was right for them too, or could it just be one of the mysterious residents that I had witnessed on my recce outings? Perhaps the fully scaled I stalked, or one of the two mid twenty commons I witnessed basking in the sun in this same area, or even one of the three white tipped commons, one of which I tracked not so long ago??? After a further 15 or 20 mins the twitches on the line signalled something a lot more, sitting on the edge or my arse, as I didn’t worry about a chair I was ready and waiting, then it happened in one foul swoop the rod tip hammered round and alarm belted off, game on. Pulling into the fish it was straight out from under the bush in seconds, having instantly dipped the rod tip in the water low once hit to disorientate it, the trick worked and she was out in open water, with only Canadian to deal with there was no real dramas, the fish had some power making 3 reasonable runs, although not feeling particularly heavy I then saw the white tips on the tail, now which one was it? Small middle or large? With a bit of heart in mouth action at the net she finally slipped over, and I could clearly see that it was in fact the middle one…..
Till next time, enjoy your fishing.